The JSAN (Japan-made sorter, analyzer) desktop cell sorter has evolved since its introduction, resulting in significantly improved performance, reliability and user-friendly operation. 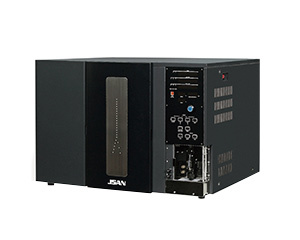 As a sorter that is as simple to use as an analyzer, the improved JSAN facilitates sorting of target cells with excellent purity and high recovery. 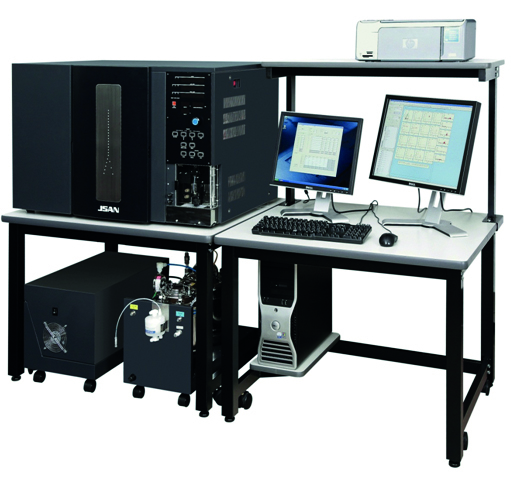 By providing simplified operation, high performance, and very high speed data acquisition, this reliable platform has become the flowcytomer of choice for labs with the need for both excellent analytical and sorting capabilities. In keeping with the advances in the field, JSAN customers may now choose lasers with emission wavelengths ranging from the UV to the deep red regions of the spectrum. 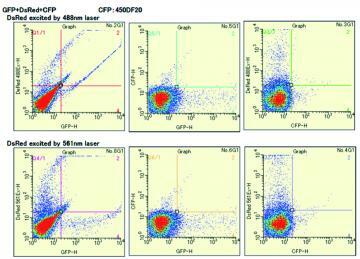 Available options such as the CloneMate address the need for sorting single or multiple cells into microtiter plates. A "typical" system could be equipped with very long-lived, very stable 488 nm solid-state and 638 nm semiconductor lasers. Both require only the standard electrical power at your facility and no external cooling. 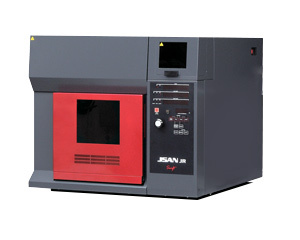 The JSAN can be also configured with up to four lasers on its standard optical plate, with the use of any three of them simultaneously. (Optional third and fourth lasers are aligned collinearly.) 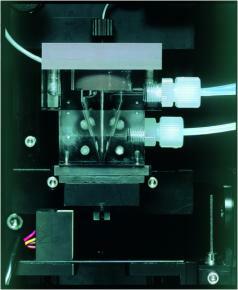 Standard JSAN third and fourth laser options include a 375 nm or a 405 nm semiconductor laser. The optional 375 nm laser allows analysis and sorting of Hoechst-dyed SP cells, while the 405 nm solid-state laser allow the use of such fluorochromes as Pacific Blue and Pacific Orange. Other optional lasers include the latest 534 nm and 561 nm solid-state lasers, with the potential for other lasers, as they are introduced. These laser options enable the optimal use of such recently introduced fluorochromes and fluorescent proteins as DsRed, CFP, and Kaede. Biosafety options include an aerosol containment system (air from sort chamber exits through HEPA filter), and full BSL-2 containment with the Baker BioPROTect III Jr biosafety cabinet.